On this week's Under the Microscope, traffic jams caused by a large harvest. For the Midwest’s biggest crops, this harvest season was a big one. With winter setting in, the race is on for farmers to ship out their harvest so it’s not left out to spoil. But the giant harvest and a lack of available rail cars have created a traffic jam on the rails and the highways. Usually, famers store their harvest in silos and grain bins, but this year, farmers brought in so much, there’s just no room. Farmers in Missouri, Indiana, Illinois and South Dakota are all being hit particularly hard by the storage shortage. Amid strong concerns about the declining level of the already low Mississippi River, the Army Corps of Engineers is releasing water from an Illinois lake to add to the flow of the Mississippi. 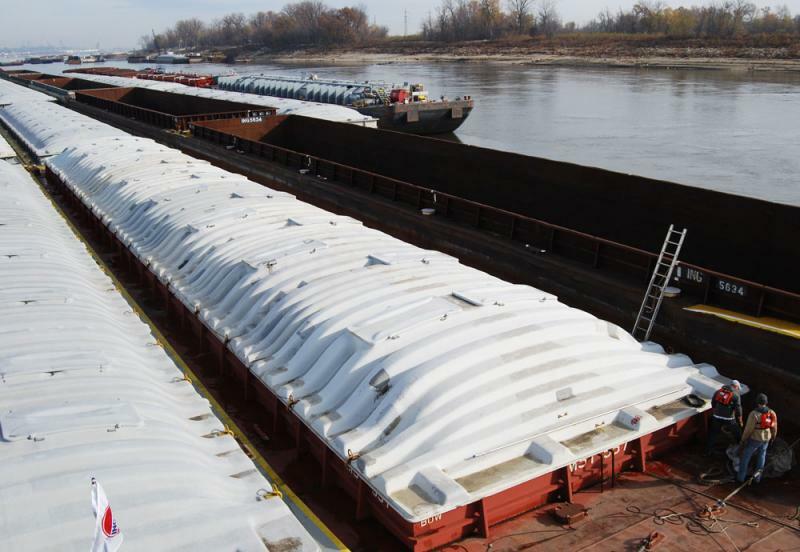 U.S. Sen. Roy Blunt of Missouri may seek a presidential emergency declaration in an effort to keep barges moving on the drought-riddled Mississippi River. I left my house in Columbia, Mo., at 5:30 a.m. Thursday to make it to the Ingram Barge Co.'s Upper Mississippi River office by 8:30 am. I knew the three-hour drive had been worth it when I pulled up to the barge company’s office because the sturdy grey structure actually sits IN the Mighty Mississippi. 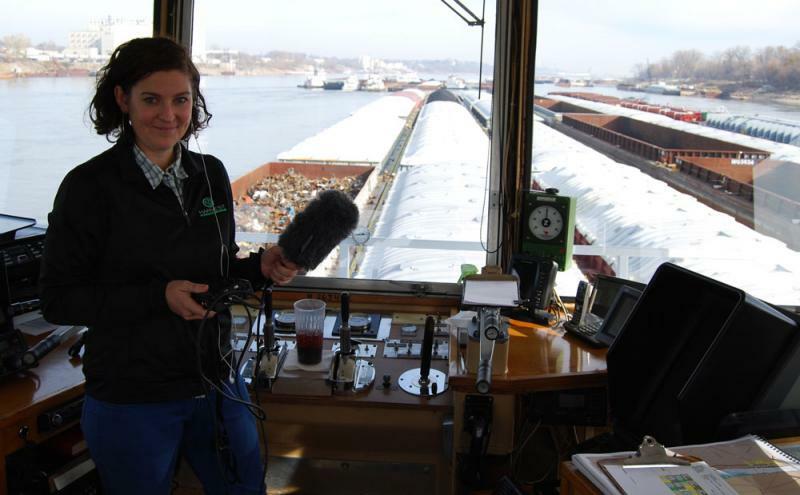 I walked across an anchor barge that doubles as a pedestrian bridge to enter the office and passed by the R. Clayton McWhorter, a 45-foot tall, 140-foot long towboat with four decks. On February 2, the non-profit organization Missouri River Relief will host the Wild and Scenic film festival at the Blue Note in Columbia. 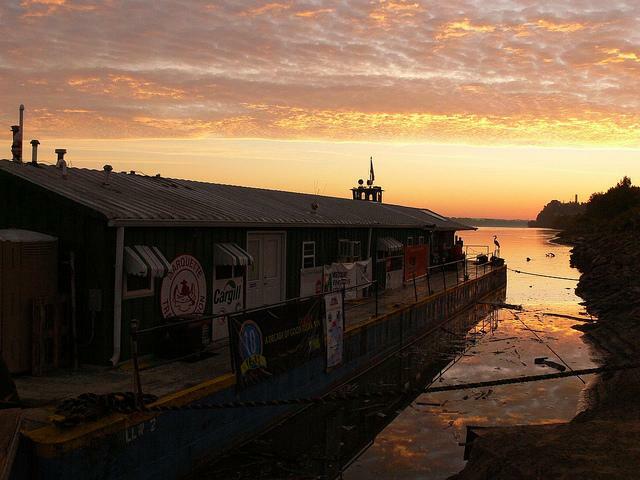 Festival-goers can expect to see a variety of environmental and adventure films. One of those films, Big Muddy Clean Sweep, documents the organization’s trek across the state, cleaning the Missouri River aboard a barge. Steve Schnarr is the program manager for Missouri River relief. We spoke to him about what it was like traveling across the state, his own connection to the Missouri River and what people could expect at the festival.